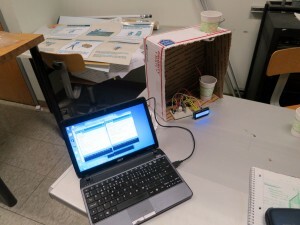 Test sensors and arduino librarys. Experiment with presenting data on an lcd screen. Working with logical user interaction. The prototype showed us that the moisture sensor was good for both moisture readings but also excellent as a waterlevel detector. 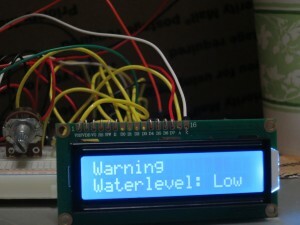 The data on the lcd screen could either be shown as a text saying high or low, or an actual number. We found that is was best to cycle through data instead of trying to show a lot of data on the same time.